Just like other NDA government schemes, Prime Minister Narendra Modi’s Pradhan Mantri Mudra Yojana (PMMY) has also turned out to be a jumla. “We got MUDRA with which we opened the gates of banks for the youth, to give out loans without a guarantee. 14.5 crore loans were given out to 25-26 crore families.” (Prime Minister Modi, Chatarpur, Madhya Pradesh, November 24, 2018). 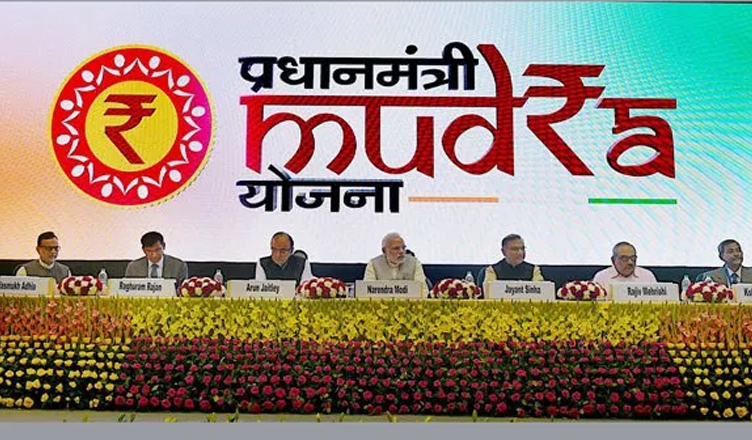 The Mudra Yojana is the story of a miracle. It was first conceived of as a refinance bank in the 2015-16 budget to help lower the cost of finance to financial institutions, which lowers interest rates for individuals who borrow. Credit guarantees enable lending to those who are unable to provide collateral. Since simple refinance would not show Prime Minister Narendra Modi as the transformative agent he wishes to be seen as, from April 2015 all MSME loans below Rs 10 lakh were redefined as the Pradhan Mantri Mudra Yojana (PMMY). All of a sudden the Mudra Yojana became a giant scheme with lending to MSMEs in 2017-18 at Rs 2,53,677 crore. MUDRA Bank disbursed Rs 7,501 crore that year as refinance, which only amounted to 3% of the scheme’s headline numbers. A study by Gujarat Institute of Development Research researchers found that the scheme “has only made banks “reclassify” their income-generation loans up to the size of a million rupees”. They stated that “PMMY seems to work as a sheer window dressing measure with no clear strategies to incentivise banks to craft viable strategies to enhance their loan supply to credit-starved” enterprises. The annual growth of credit to MSMEs has decelerated from an annualised rate of 13.2% during the last four years of the UPA to 7.2% in the first four years of the Modi government. Lending to manufacturing MSMEs, where the bulk of jobs are created, has slowed even more dramatically, from 14% to 1.7% over the same periods. The PMMY has also had no discernible effect on the flow of bank credit of up to Rs 10 lakh, which actually fell marginally after the scheme’s introduction. In 2017-18, close to 90% of the loans had an average size of Rs 24,840. This is completely inadequate for even one job, let alone 2-5 as claimed by the Prime Minister. Only 2% of PMMY loans were greater than Rs 5 lakh under which employment conceivably could be generated from the returns of the loan. A large portion of PMMY loans is used as working capital by micro-enterprises. Assume a borrower uses Rs 25,000 to buy stock, which is then cleared four times over a year to generate sales of Rs 1 lakh. In a best-case scenario, he will generate a return of 20%, equivalent to Rs 20,000/year. This is not enough to generate any jobs. The structuring of working capital as a three-year term loan is also flawed. Enterprises, large and small, require a continuous flow of working capital. If it is repaid in its entirety the entire business model fails at the time of repayment. This is bound to exacerbate the problem of non-performing assets that had jumped to Rs 14,931 crore in April-December 2018 according to a Right to Information request. Nor do the government’s own actions signal any confidence in this claim. After suppressing the NSSO survey showing unemployment at a 45-year high in 2017-18, the NITI Aayog asked the Labour Bureau on 21 February 2019 to present its findings on job creation under PMMY. But in March 2019, the NITI Aayog developed cold feet and indefinitely postponed releasing the results of this survey.